Dr. Damir Novosel is President of Quanta Technology. Prior to joining Quanta Technology, he was President of KEMA T&D Consulting in the US. He has also held various positions in ABB including Vice President of global development and product management for automation products. His work in automation and electrical power system monitoring, protection, and control earned him international recognition and was elected IEEE Fellow. Damir holds 16 US and international patents and has published over 100 articles in Refereed Journals and Conference Proceedings. 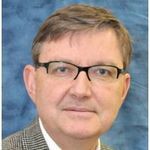 He is presently Chair of the IEEE PES Technical Council and IEEE PES VP of Technology and is co-chairing Performance Requirement Task Team for the North American Synchro Phasor Initiative (NASPI). Damir holds PhD and MSc degrees in electrical engineering from Mississippi State University and University of Zagreb, Croatia, respectively.